Mangosteen (Garcinia mangostana L) is a tropical evergreen tree that can grow up to 80 feet tall. The fruit of the mangosteen can be identified by its purplish-red skin. The interior of the mangosteen fruit is soft, white and juicy, and may or may not contain seeds. Mangosteens grow well in USDA Hardiness Zones 10 through 12. Mangosteen trees are very sensitive and do not survive in temperatures below 40 degrees F, or above 100 degrees F.
Make sure your soil is a rich organic soil. 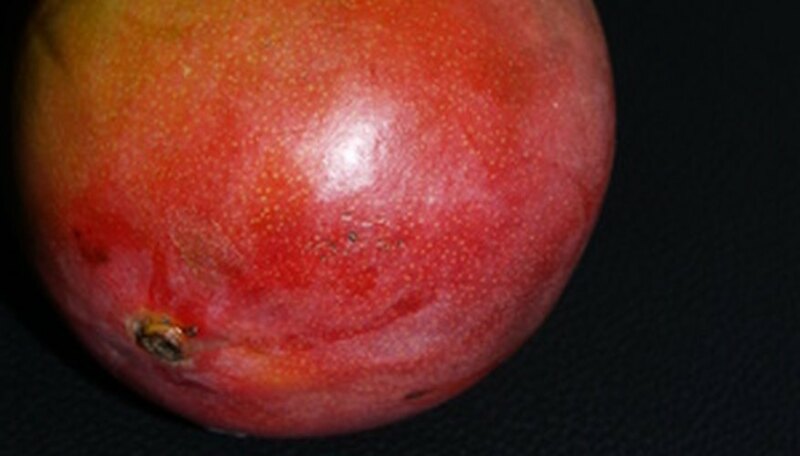 Purdue University recommends sandy loam or laterite soils for mangosteens. The pH of the soil should be between 5.5? and 6.5. Find a location that will also provide the mangosteen with shade. According to Southampton Centre for Underutilised Crops, mangosteen fruit and leaves are subject to burn. This is especially true during the first few years. Remove a few plump, mature seeds from a mangosteen fruit 24 hours before you plant them. Set them in a cup of room- temperature water. Plant six mangosteen seeds in a 6-inch deep hole after they've spent 24 hours in the water. Once mangosteen seeds have been harvested, they are not viable very long. Mangosteen seeds have a lower germination rate than many other types of seeds, so you need to add several to each hole you plant. Cover each hole back up with soil. Water your mangosteen seeds on a daily basis. Water until the entire area is moist, but not drenched. These plants need a lot of water to survive. You should begin to see the seeds sprouting after three weeks. Fertilize your mangosteen tree every three months with a 16-16-16 fertilizer. Do this for the first three years, and then switch to fertilizing your tree every six months. Mulch around your mangosteen once it becomes established. This will help retain moisture and control weeds. Examine your mangosteen tree once per week to catch pests or diseases early enough to treat them. Mangosteen trees can take 10 years before they begin to bear fruit. If you don't want to wait 10 years, you will need to plant an established tree, rather than grow the mangosteen tree from seed. Mangosteens will not grow in limestone soils. USDA Plants Profile: Garcinia Mangostana L.
Do I Need Two Mango Trees?